Two certificate options have been designed to support operators with off road vehicle operating (4×4) safely for work related purposes. The course will take place using suitable off road areas. Certificate option 1: Principles of Off Road Vehicle Operating is designed for users of 4x4s who will only tackle basic off road obstacles and will always avoid more severe threats and weather conditions. Assessment is on a limited range of obstacles with a lower threshold of acceptable threat/risk. Certificate option 2: Operating Vehicles in Off Road Adverse Conditions is designed for users of 4x4s who may seek to tackle some more severe obstacles and sometimes in poor weather conditions. Assessment is over a range of obstacles, identifying and managing risks in a practical manner making reasonable use of vehicular and driver capabilities as appropriate. Note: If a learner has been booked on the Operating Vehicles in Off Road Adverse Conditions certificate option, the instructor may indicate the Principles of Off Road Vehicle Operating as a more appropriate certificate option as a result of the learning programme/learner requirements. Each option can also be organised and delivered as refresher programme. The refresher is designed for users who have previously received accredited training in 4×4 off road vehicle operating. Emphasis will be made on the sessions where additional training is a requirement. Assessment will be in line with either certificate option 1 or 2; on a range of obstacles, identifying and managing risks in a practical manner making reasonable use of vehicular and driver capabilities. Refresher training/assessment may be triggered by: 5 years elapsing from the completion of prior certification time elapsed guided by user risk assessment a response to an incident or a near miss or receipt of a new vehicle. 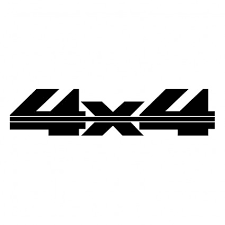 Any person who is will be required to operate a 4×4 vehicle in an off road environment. All learners must be able to demonstrate that they are competent in driving normal vehicles in a road situation and hold a current driving licence. Drive over a variety of terrain (appropriate to the vehicle type). Costs: £200 plus VAT including training, registration, certificate and ID card. Costs: £330 plus VAT including training, registration, certificate and ID card. This is based on full course of 3 people. Courses may be longer at additional costs if further training is required. This means the training and assessment is carried out during the course by your instructor. You will receive both a certificate of training and an ID card (if you provide a photo!) This method saves time and is usually cheaper although the level of training is identical to Independent Assessment.